Nov. 17, 2015, 2:06 p.m.
By Joseph Lichterman @ylichterman Nov. 17, 2015, 2:06 p.m.
News of the terrorist attacks in Paris broke late Friday afternoon, and after a weekend of covering the attacks and their fallout, a group of Mashable editors gathered in executive editor Jim Roberts‘ office Monday morning to brainstorm the next steps for their coverage. “Once we started to get the initial identifications of the victims, we knew it was going to be very important to compile an ongoing list and present it to our audience,” Roberts told me. During the conversation, Brian Ries, Mashable’s real-time news editor, suggested using Twitter to share information on each of the victims. While all news organizations covering the Paris story are reporting on the victims and trying to provide their context and details about their lives, Mashable quickly realized that Twitter would be a unique way to share their stories. Ries and Amanda Wills, Mashable’s deputy executive editor, worked out the details. They thought initially that they might share photos and details about the victims from the main Mashable Twitter account with a link back to Mashable’s other coverage, but they decided that that “cheapens the idea and would make it a little too promotional,” Ries said. Instead, they decided to create a standalone Twitter account — @ParisVictims — that exists solely to post photos and details on the lives of the victims. They created the account, and the first tweet was posted within hours, shortly before noon Eastern time on Monday. The account now has more than 20,000 followers, and Mashable also created a Twitter Moment that it’s updating with each victim. Each tweet includes each victim’s name, age, and country of origin along with some details of their lives and a photo. 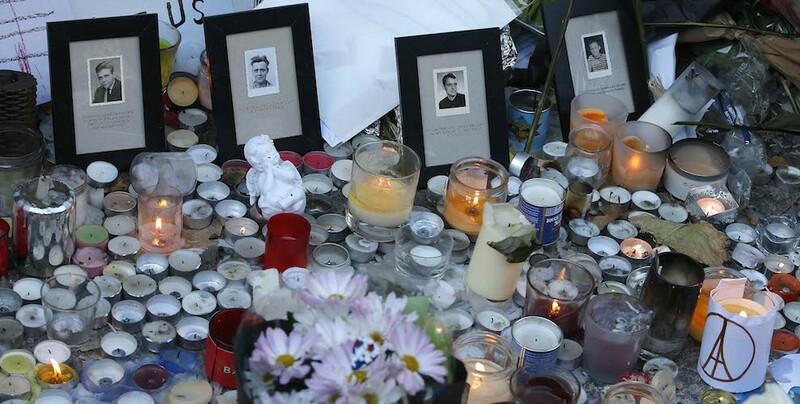 Every tweet also uses the hashtag #enmémoire, which means “in memory” in French. The account’s Twitter bio links back to a Mashable story on the victims. Though the idea is a simple one, the execution is more complicated due to the nature of the subject and also the nature of Twitter. Mashable has a Google spreadsheet to compile the names of and information about each of the victims. In addition to original reporting, Mashable staffers have scoured social media and statements put out by victims’ friends and families, along with French and English-language media reports, to make the tweets about more than just when and where they died. Mashable is taking even more care to ensure that it gets the details right because tweets can’t be edited, and Twitter’s character limit also presents challenges in how the information and photos can be sourced. Mashable is spacing out the tweets every hour or so, and it plans to continue the account until all the victims have been identified. 129 people were killed in the attack, but there are still a number of victims who haven’t been identified, and it’s possible that the death toll will rise. So far, it seems that Twitter users have been receptive to the account, and a peek at @ParisVictims’ mentions shows its global reach, though some other users said that they found the account overwhelming.
.@ParisVictims is a simple, beautiful and almost unbearably poignant tribute. Had to stop reading @ParisVictims because it's just too harrowing. But don't let that stop you; it's incredibly moving and important. Feel terrible, but I've had to mute @ParisVictims through the sheer number of people RTing 10+ of its tweets. Mashable plans to continue updating the account until all the victims are identified, and then it will leave the account up as a memorial. POSTED Nov. 17, 2015, 2:06 p.m.
Lichterman, Joseph. "“In 140 characters, a life”: How Mashable is using Twitter to commemorate the victims of the Paris terrorist attacks." Nieman Journalism Lab. Nieman Foundation for Journalism at Harvard, 17 Nov. 2015. Web. 20 Apr. 2019. Lichterman, Joseph. "“In 140 characters, a life”: How Mashable is using Twitter to commemorate the victims of the Paris terrorist attacks." Nieman Journalism Lab. Last modified November 17, 2015. Accessed April 20, 2019. https://www.niemanlab.org/2015/11/in-140-characters-a-life-how-mashable-is-using-twitter-to-commemorate-the-victims-of-the-paris-terrorist-attacks/.